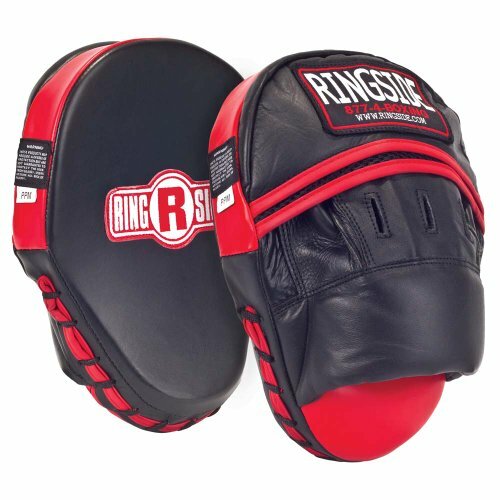 For many years now, we have been utterly committed to recommending the best boxing-related gear to our readers, and thankfully, we have been able to help many readers buy the best boxing equipment over the years. We were at it again in the recently concluded year and having recommended hundreds of products to our readers in 2018. If you are curious to learn which ones they loved the most out of all the products recommended last year, continue reading as we unveil them in the subsequent paragraphs. Super affordable, moisture absorbent, and made with high-quality flannel, it isn’t surprising to me that Meister Glove deodorizers were the most popular purchase among our readers last year. Apart from absorbing unwanted odor and moisture to keep your gloves hygienic, these deodorizers also leave a lasting, fresh aroma in them for your next workout. These deodorizers are a must for every gym-goer. Sporting the nunchucks design, they are suitable for almost all boxing gloves and shoes and are certain to keep your pairs together. Besides boxing gloves, these deodorizers also work great for lacrosse gloves, hockey gloves, ski gloves, goalie gloves, shoes, and more. Durable, affordable, good-looking, and high-performing are four words you wouldn’t expect to find together in the description of a pair of any low budget boxing gloves, so I’m extremely impressed that Sanabul has managed to pack the four attributes into a single pair of gloves. 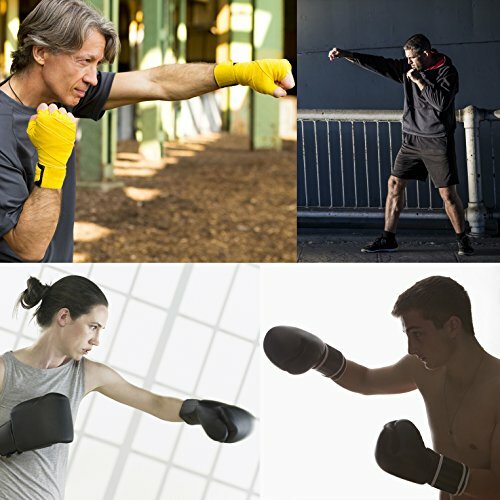 Obviously they don’t compare with the best boxing gloves in the market, but our readers also found them as one of the best beginners gloves out there, which is why they were buying it in droves in 2018. Not only are these training gloves made with durable and high-quality materials, but they are also gel-infused to offer you adequate protection against hand injury while training. The Sanabul Essential Training Gloves are the #1 seller on Amazon, and the reasons aren’t difficult to see. 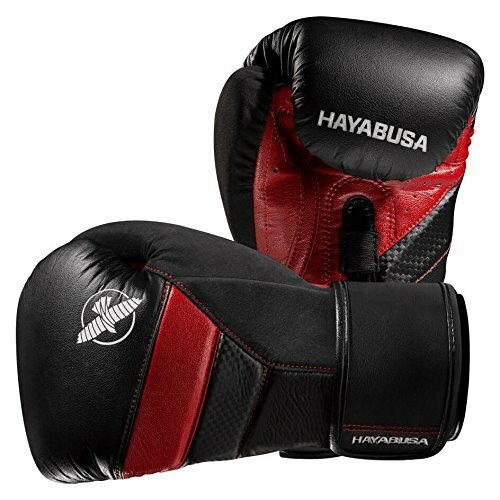 It’s becoming increasingly difficult to find world-class boxing gloves nowadays that will offer you real value for your investment, and maybe that’s why our readers were swarming the Hayabusa T3 Boxing Gloves throughout 2018. I loved the originality, the inner padding, and the comfortable fabric of these gloves a lot and I’m sure most of our readers felt the same way. Just to give you a peek of why these gloves from Hayabusa are outstanding; they are sweat resistant, produced using antibacterial technology, offer a five-layer foam structure for absolute comfort, and feature interlocking splint for optimum wrist support. While some boxing training gloves set you up for defeats, some set you up on your way to becoming a champion, like the Cleto Reyes Training Gloves. 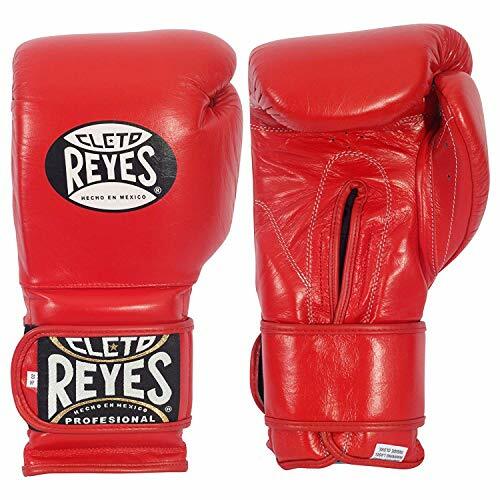 After testing several training gloves on the market, we found this pair from Cleto Reyes to be one of the best in terms of quality and our readers seemingly agree with us. With the smartly designed grip and 100 percent leather design, these gloves offer you an exhilarating training experience. Just as we found out how great these gloves are, I’m sure our readers have also found out, which is why this pair is one of the most sought-after in 2018. 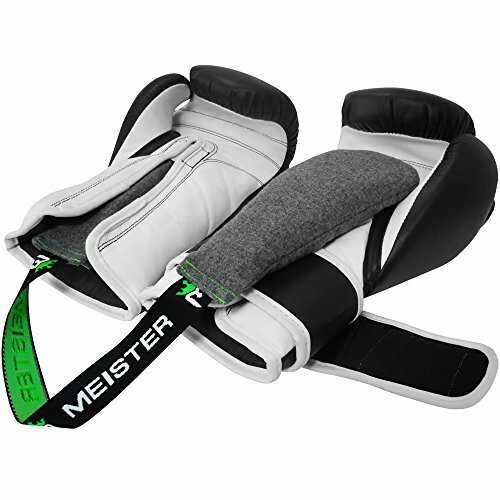 Boxers have a high tendency of getting injured during the winter, which is probably why our readers were busy acquiring protective items such as the Ringside Mexican Style Boxing Hand Wraps for themselves in the final year of 2018. Apart from measuring 180 inches in length to guarantee safe wrapping support, these hand wraps are also wider and thicker than most hand wraps, which considerably improves hand support and durability. To put the icing on the cake, you get 10 whole wraps for under $20 bucks, which I think is probably the most enticing thing about these hand wraps. I don’t think anyone could make a dumber move than playing a physical sport such as boxing without using a high-quality mouthguard. 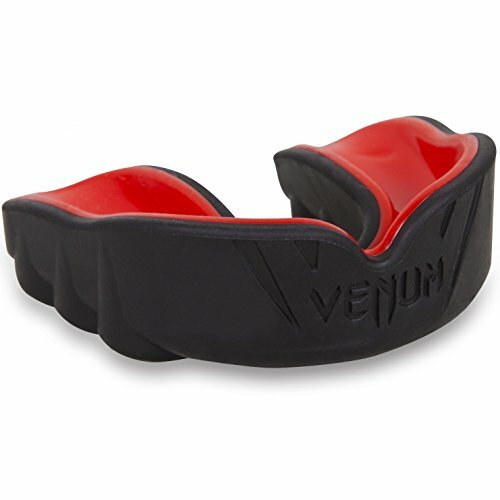 If the feedback and comments on our site are anything to go by, our readers have also found this out, which is probably why the Venum Challenger Mouthguard was one of the most popular purchases last year. With its cutting-edge design which allows for optimum breathing and the Nexfit gel frame which offers superior comfort, I totally understand why our readers were buying this product in crowds. 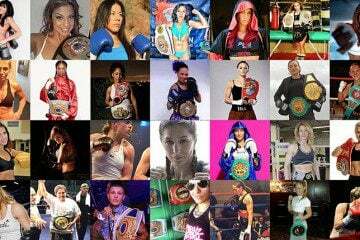 The world continues to evolve steadily, and technology in its typical nature continues to influence every aspect of our lives, including boxing. 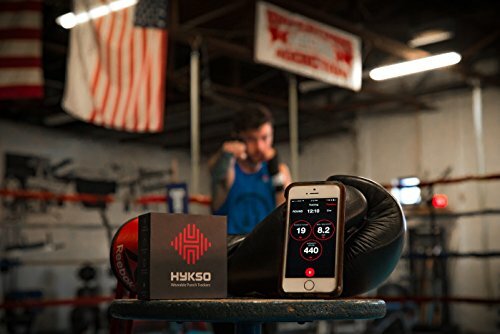 If you’re a boxer that’s serious about improving your boxing skills, I don’t think there are more devices aimed at helping you to achieve that than the Hykso Punch Tracking Wearable Sensors. Not like our readers need to be reminded of this anyway, considering the fact that this device was one of the most popular boxing item last year. With its ability to track the number of punches you throw and the velocity of your punches, this device is the perfect option if you’re looking for something help increase your skills. Let’s face it; boxing is a very tough sport and as a boxer, you need maximum protection for all the vital parts of your body, especially your head. 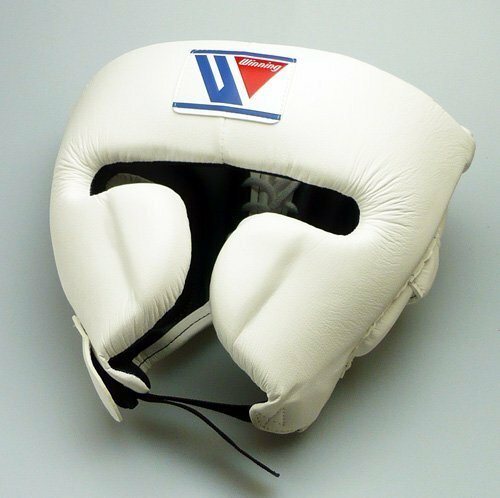 However, while some upcoming boxers are yet to understand the importance of headgear when boxing, most of our readers already got it, hence, why the Winning Headgear FG2900 is one of the most popular boxing gear among our readers in 2018, as well as the best rated headgear of all time. Despite being incredibly lightweight to help users remain focused, this headgear also offers maximum head and jaw protection. 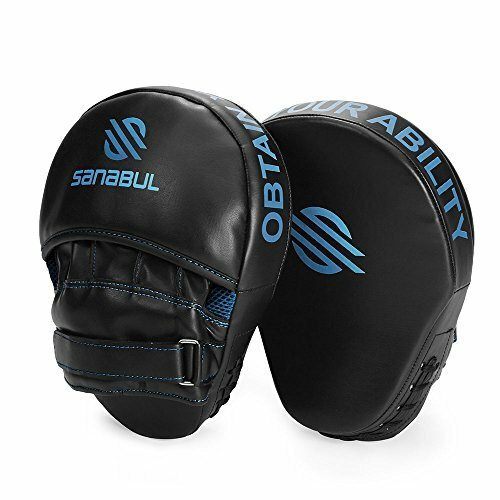 While being a trainer is not exactly an easy job, a pair of punching mitt such as the Sanabul Essential Curved Boxing Mitt makes things a bit less difficult. 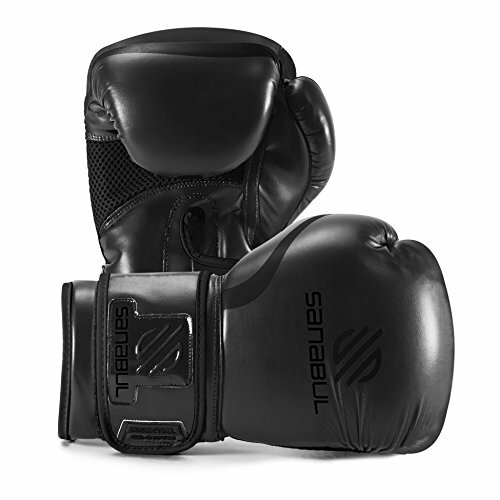 Featuring a Santec super-light form that is shock-absorbent and prevents the trainer from getting fatigued, this Sanabul’s pair of mitts guarantees great protection, which means minimum ache when training. Nobody likes waking up each day with aches all over their body due to the previous day’s training, and I guess our readers also agree very much with this. The Ringside Panther Punching Mitts is another excellent mitt that caught the attention of our readers last year, and that’s in no small thanks to its superb durability, incredible construction, perfect fit, and affordable price. The mitts are produced using genuine leather, rather than synthetic leather, which makes them extremely durable and resistant to quick wear and tear. There is no doubt that our readers loved this boxing gear in 2018, and I really can’t blame them. Training punches on a lifelike bag infuses more excitement into training and every boxer in the world knows. In that case, you want something that looks and feels like the real thing, and there aren’t many heavy bags that fit that description like the Aqua Bruiser Bag. 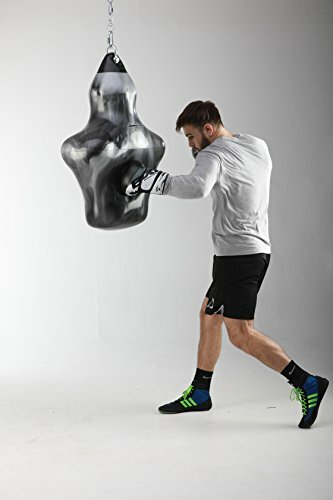 For a more realistic experience, this punching bag features a head, shoulders, and torso, making it the perfect training object to bring out your inner beast. And considering its affordable price and the two-year warranty it comes with, I perfectly understand why our readers loved this punching bag in 2018. Footwork is one of the most important things needed by a boxer, and nothing plays a bigger role in determining a boxer’s footwork more than his shoes. To be a champion, you need a pair of shoes that allows you to glide, float, and sting your opponent like a bee. 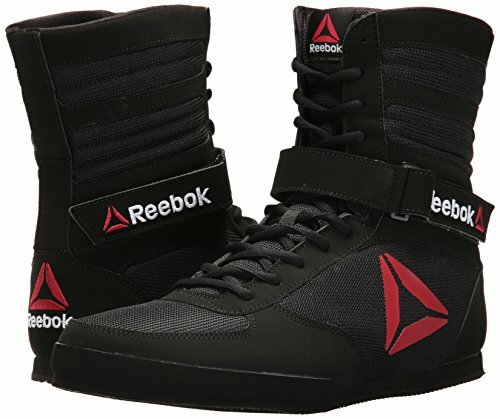 The Reebok Men’s Boxing Boots is a typical example of such shoes, and our readers seem to agree. These shoes are produced using a hard-wearing synthetic leather to keep your feet cool, and the synthetic outer sole used is great and is sure to offer you a lot of traction. Besides, the shoes include an ankle strap for added stability. This is an excellent choice for people looking to take their boxing to the next level. For good reasons, the SPANLA Boxing Fight Ball was one product our readers adored last year and it was the most gifted item for boxers during last holiday season. 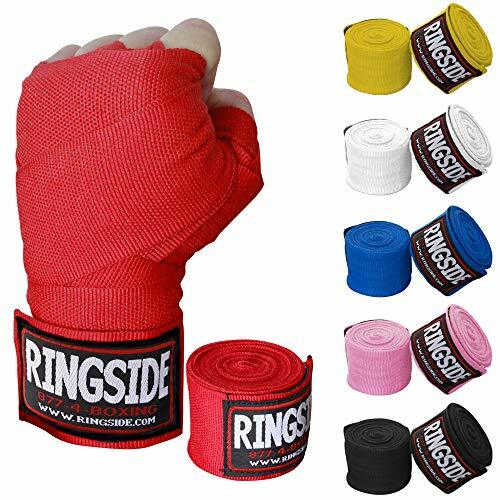 In fact, this is the product I’d recommend to any aspiring boxer, as its capability to improve a boxer’s reflexes, speed, and hand-to-eye coordination is nothing short of extraordinary. Also, I must not forget to mention that this ball allows you to have some fun along the way, either individually or with your loved ones. For all the effectiveness of this product, I won’t be surprised if it continues to go up in popularity in this new year. Being a boxing legend and arguably the greatest boxer of all time, I’m not personally surprised to learn that our readers loved this Muhammad Ali’s t-shirt in 2018. 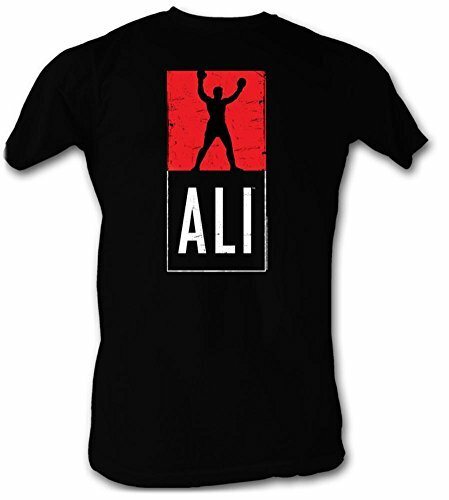 Of course, most aspiring boxers of nowadays were inspired by the great champion, so it’s only logical that our readers were trooping to buy this t-shirt with Ali’s name. I mean, it’s what real fans do! Whether you chose to believe it or not, skipping rope training is one of the most powerful and effective workouts for anyone looking to get fit and stay in shape. With that being said, there aren’t many jump ropes that are better than the Survival and Cross Jump Rope in the market. 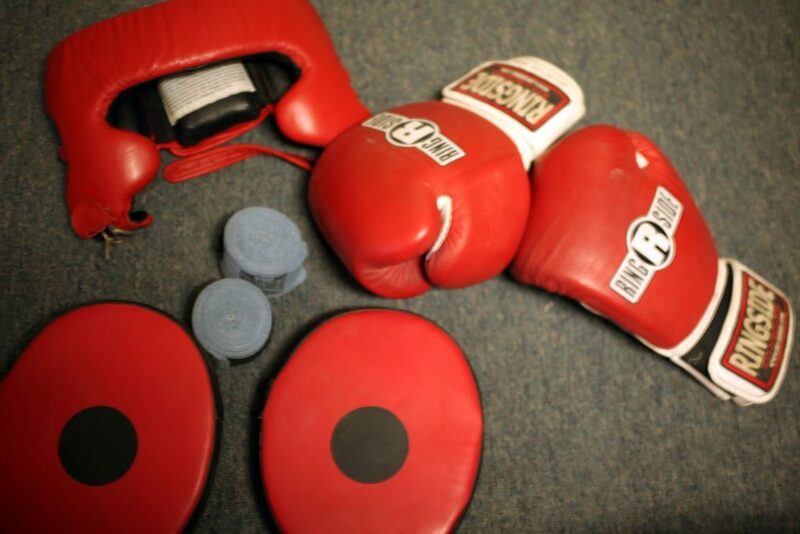 Judging by the reviews and the numbers, our readers seem to enjoy using this boxing gear a lot. 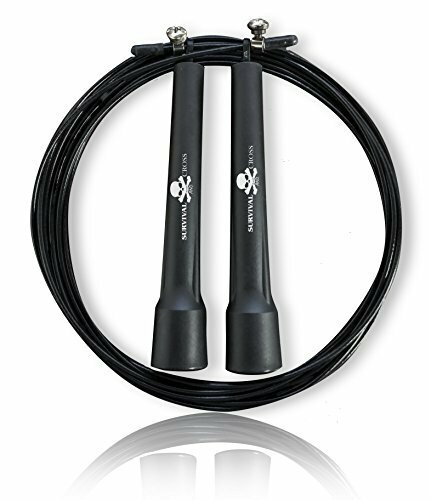 Made to be lightweight to allow for extra speed and featuring tapered handles to improve your natural wrist action, I don’t think this jumping rope can be praised enough, and I don’t think our readers will disagree. I would like to say a big THANK YOU to all our readers, for helping us to choose the best gear, and for your continues support throughout the year. I hope you liked this list and I’m looking forward to chat with you in the comment section!